Dog Joint Problems - Tips You Can Help Your Dog! Seeing stiff joints of your furry pal can make your heart sink. Sometimes it can be even more difficult when your furry pal starts to limp. This stiffness in joints can either be due to age or injury. Dog’s joints aid them in proper functioning and decreasing the accompanying pain or discomfort. Hence, when you see restricted, stiff or awkward movement of your pooch, then it can be due to joint pain. 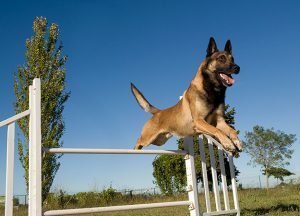 Dogs that are experiencing joint pain find it difficult to climb the stairs or jump up in their favorite resting spot. If you see these signs in your doggy take him to the veterinarian immediately for prompt examination and diagnosis. 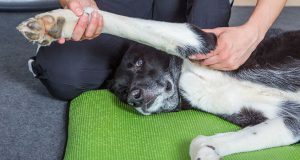 It is imperative that you give a gentle massage to the sore joints and surrounding areas so that it can ease up the stiffness experienced by the doggy. But before carrying out this activity, take the prior opinion of the veterinarian to ensure that the massage is not going to damage the joints of the dog further. They can also provide you the requisite tips to massage the dog. If the joint pain in the doggy requires treatment, your veterinarian would be able to aid you in deciding the best thing suitable for your furry companion. They may even recommend a steroidal or non-steroidal anti-inflammatory to decreasing the swelling in and around the joint or to reduce the extreme pain. They may even suggest you to get Joint Supplements that would aid in the speedy recovery of your pup. 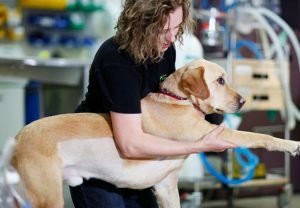 All these treatments would not only decrease the pain, improve the dog’s function and comfort, but also treat the underlying cause of joint pain and stiffness. You can get a high quality, premium dog food that would aid in keeping your furry companion fit and healthy. 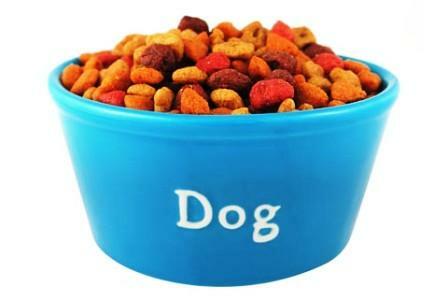 Feeding wrong food to your doggy may result in obesity that can worsen the joint problems. Remember an overweight doggy may experience more pain when he has to carry extra weight. Maintaining the ideal weight of your doggy will reduce the pain and enhance movement. 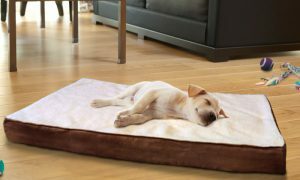 Your doggy may be willing to sleep anywhere, including the hard floor, but a proper orthopedic bed will ease the discomfort and stiffness of joint pain. The bed would give the much-needed respite to him. Sleeping comfortably may also have to move a little easier when they get up. Choose an orthopedic bed that is large enough for him. Comfort, cushion and support are the most important things when you decide to get a dog bed. Until and unless your veterinarian restricts the movement of the doggy simple exercise will aid in keeping the dog’s joint moving. It is very important to keep your pup active. It can just be a short walk or a longer one to keep the joints and muscle moving. Talk to your veterinarian to determine the exact duration of exercise that is best for your tyke. Remember, too much of exercise or wrong type can lead to more complications in joints and no exercise can be bad too. So, maintain adequate balance.